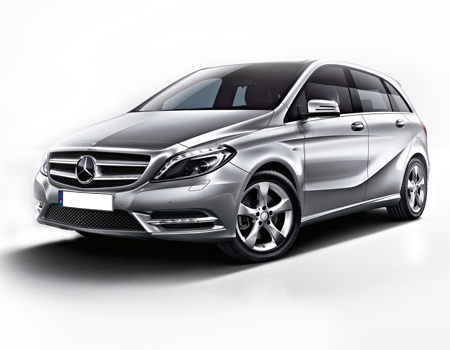 The automobile trendsetter Mercedes-Benz is again out to display its new innovation in the name of Mercedes-Benz B-Class. The car is a Compact Sports Tourer that was launched in 2005 and is equipped with a front-wheel drive. It has a two-box design of which, the one-box is for the drivetrain and the other for the passenger and luggage compartments. Elegance is demonstrated with crisp details to yield the car a sporty and stylish look. The charming front face of the car is made impressive by the eye-catching grille design and the sharp focused LED integrated headlamps. The aerodynamics injected in its design is evident in its side profile. The car experiences mobility with the tough and stylish 16-inch alloy wheels. The overall exterior dimensions of the elongated car reads – 4359mm x 1786mm x 1557mm and a stable wheelbase of 2699. What to opt for: The expensive car features decent power values for which the exterior parts along with the expensive accessories must be insured. The cabin of the car is particularly crafted to flaunt a desirable amount of comfort and convenience. The precisely-responsive 3-spoke steering wheel and the LCD screen compatible with optional Command Online system constitute the driving pleasure. The supportive Artico man-made leather seats and the automatic air-conditioning system together fetch a worth-experiencing comfort for the occupants. The Audio 20 CD sound system offers an ultra-clear sound experience to the occupants of the car. Space concept of the car is defined by the generous cargo volume of 486 litres. What to opt for: The advanced technology fitted in the interior and the dependable safety (ABS, Attention Assist, immobilizer, etc.) ensures a convenient and safe drive. The car must be considered for the driver cover. The choice of the Invoice insurance remains in the hands of the owner, however theft insurance can be missed. The car owing to its crossover like styling is often compared to the leading BMW X1. With the high parts cost and high maintenance value of the car the total damage insurance cover is the optimal choice. However, entry level damage insurance can also be considered.